Due to the Enter the Arena tournament over the weekend, we originally planned to have an esports blog written by our one and only GrimGoon (Esports Manager), but since organising a tournament is a very time consuming business, he wasn’t able to post this week. Hopefully we will get a blog from him fairly soon. In any case, I did have a chat with him to see what he’s been up to. He told me he’s coordinating, negotiating and hiring talent, including their hotels, flights, taxis and food. 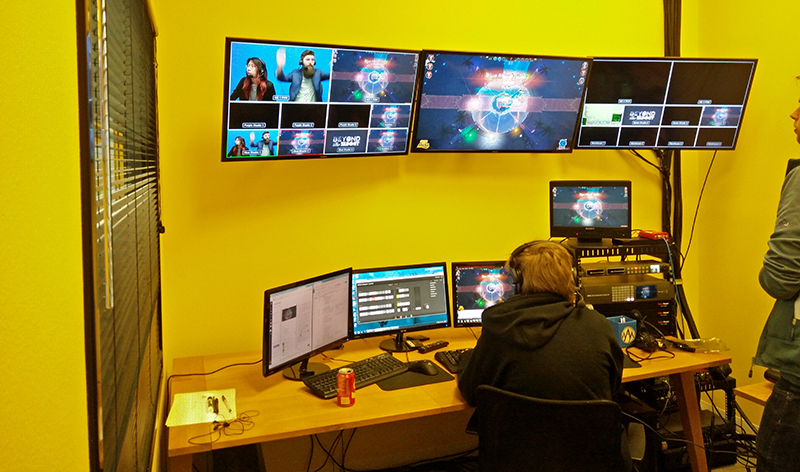 He’s organising resources for the show’s production such as fetching stats from the players in-game, questionnaires and creating promotional videos. He’s also been handling players and teams, relaying information to them and such, which he claims takes a lot more time than people realise. I am sure any tournament admin understands this one. There’s more… he’s also fixing promotional content on Twitch, getting in touch with media partners to spread the word and lots lots more. Phew. I think I better make Grim a good cup of tea with a side of extra biscuits when he gets back from LA. I hope you enjoyed watching the Enter the Arena event, if you missed it, you can check out the VOD’s here. So what else has been going on at the office? I expect you’re all in apprehension of the teased changes to the gameplay mechanics. I was not up to speed so I grabbed Konrad (game designer and author of Dev Blog #3) to give me an update on what he and the team have been up to. He said they’ve been reworking all of the m1 abilities and experimenting with increased movement speed, “All of it feels pretty good right now” he mentions. I asked him what’s been difficult with designing the changes and he replied, “One of the primary challenges in making changes to core gameplay is identifying and re-balancing every area of the game that is directly affected by the changes we experiment with. To be able to properly test and evaluate a change it’s important everything from visuals to game balance is in place. We need to make sure we can fully understand the impact the changes will bring before deciding on how to proceed. The core gameplay is directly connected to variables like average game length, hit rate of abilities, skill ceiling, game feel and much more. In situations where we aren’t fully satisfied with our results and need to tweak the gameplay further, we have to go through this process again since the balance of the previous iteration will be outdated. Making core gameplay changes can be both time-consuming and challenging at times, yet also very exciting! Sometimes iterating like this takes longer than expected, as it’s important to us to deliver at the best possible quality we can. In this clip you can see some of the M1 changes we are working on! For clarity, M1 is short for Mouse Button 1 (Left-Click), upon which a champion’s primary attack is found. The changes you see in this clip include increased movement speed, revamped m1 mechanics, reduced hitbox sizes for the projectiles and improved visuals. What we are aiming to do with this update is to improve and refine the core gameplay of Battlerite by treating M1s as more central abilities in a champion’s kit. Currently, when two players battle it out using only M1s against each other there is a low risk of missing the enemy since both champions are slowed down during their m1 cast time. Champions like Jade and Ezmo are extra problematic since they are nearly guaranteed to hit at least one projectile when spraying towards an enemy, making counterplay at low hp almost non-existent. With the changes, ranged champions stand completely still in the moment of casting, but regain their full movement speed almost instantaneously once a projectile has been fired. Coupled with the increased movement speed and longer cast times on most m1s, this allows players to dodge enemy m1s which also means landing them becomes harder and more important. Since the hit rate will be lowered, M1s have been changed to be more powerful and rewarding upon hit and received updated visuals to match this new behavior. The reworks to Jade and Ezmo M1s will have a bigger impact on playstyle and character flavor, but we are trying our best to still maintain the essence of these Champions. The changes have already allowed for more interesting decision making. In a 1v1 situation before, if you had the lower hp, you would feel forced to find a way to regain health or flee to wait out your cooldowns. Since dodging will now be a more valid option, the player can choose to continue being on the offense in an attempt to outskill the opponent. Changes like this have an impact on many different areas. More powerful M1s will also affect the strength of things like disables, since the damage of landing two M1s under the duration of a stun will significantly increase. Originally these changes were planned to be in patch 0.11.1.0 on the 28th, but a number of factors determined that a delay was needed. It’s likely to be a minimum of 2 weeks before these changes will be patched into the game. Keep an eye out on our announcements as a date will be confirmed closer to the time. 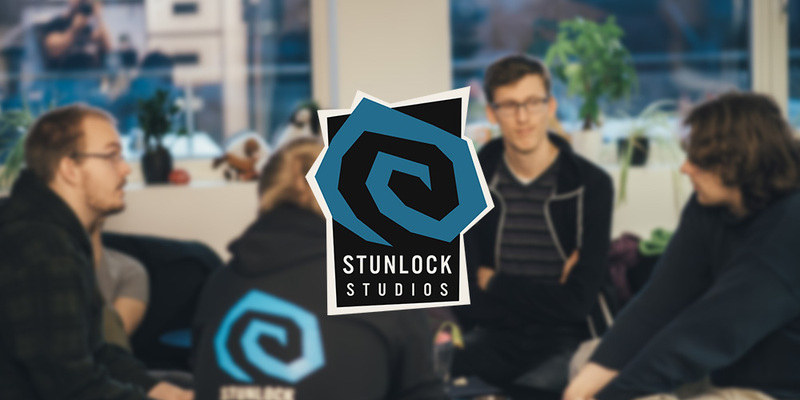 Tau’s also been organizing a lot of flights, hotels and travel stuff for SLS’ers going to GDC, Grim going to L.A and our regional managers who are coming to visit the office very soon. Getting all our managers together is a great way to brainstorm ideas for the future and also thank them in person for their hard work. We’re really excited to meet Pangolin and Boccato whom we haven’t met in person yet! She has also been organising Battlerite to be showcased at IEM Katowice this upcoming weekend. Partnering with Razer, Battlerite will be playable in the exhibitors area. 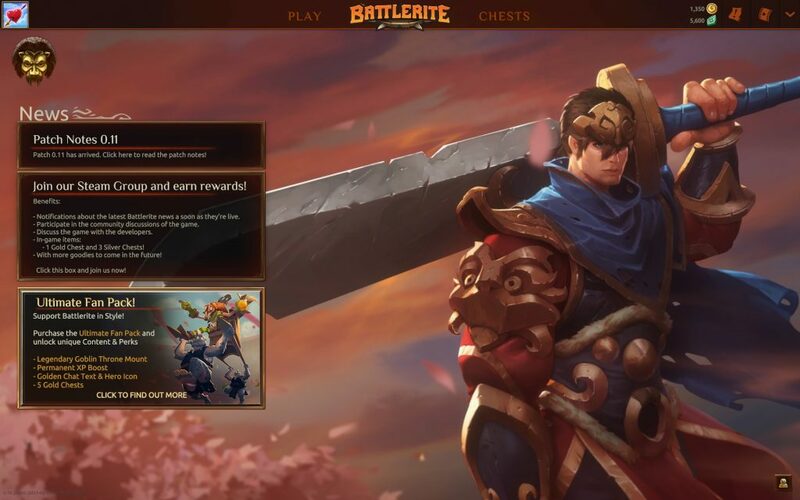 In UI, we’re very close to getting a brand new landing page implemented into Battlerite. As you know, I am pretty busy working on a new UI, but the landing page is something we’ve had in the works for a while. Currently we just have the little boxes on the left-hand side for news and announcements, which we’ve had since around Alpha. These boxes are quite restricting as we can’t easily add images or change formatting of the text, etc. This, and the combination of them being fairly uninspiring to look at, we felt this feature was on the whole not that productive or achieving much. So with the help of an excellent web developer we’ve created a web-based platform that can be updated via a content management system online. The website is essentially ported in the game, and what you see is actually web technology, and not in-game tech. The new design enables you to have a stream of news that’s customised to your region (where you live) AND locale (the language you speak). The back-end content management system we’ve designed means that we can easily supply translations of news posts, change images, add links and organise the news in a manner that’s specific to the user. So, if there’s a tournament that’s for NA only, we can ensure that post is not a priority for EU based players, as an example. It also supports watching videos in-game, images, buttons and clicking external links. This means we can now highlight all sorts of things, directly in-game, like twitch streamers, community events, YouTube videos and more! I think what I love the most about this feature is how future proof it is. If we need to update the design, we simply do it all in web without stealing time from our game programmers. We also have the ability to sync up these posts with our website in the future, saving us from posting things twice all over the place. We may even erase the need to go to external links at all, and have all the news details you need right at your fingertips in-game. There’s a lot of potential possibilities! For now, we’re keeping it simple (KISS, keep-it-simple-stupid) to ensure the core idea works well and there’s no bugs or potential issues before expanding this feature. Talking to Philip Boquist aka Phalanx (our CTO), he gave me some insight into what the backend team have been working on last week. Some of the programmers have been working on the build pipeline. What that refers to is basically the process of compiling new versions of the game, and that can be quite time consuming. He explains that they’ve been coming up with a way to largely automate the process so that creating a build takes far less time. This will work wonders on our development timeline, so that we can test new patches far more efficiently. The backend team have also been looking at making replays backward compatible (so that they don’t break when we get new patches), AI backend improvements, reworking the private match lobby, an email verification system and gameplay network optimization.